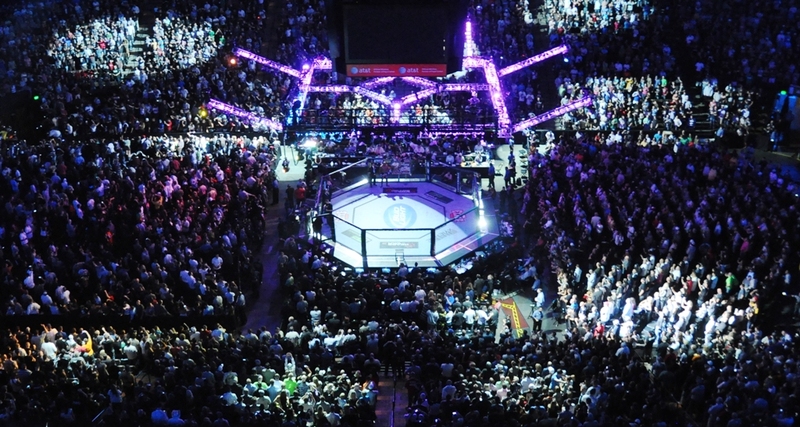 Until the end of January, UFC 184 actually looked like a pretty nice pay-per-view card. 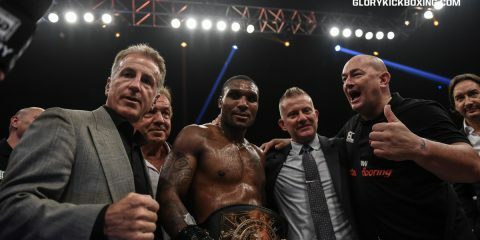 When it was first announced, the event was slated to bring us two championship fights, a middleweight title eliminator and a heavyweight clash between two of the sports better-known veterans. Like they have with so many of the UFC’s pay-per-view plans, though, injuries and other circumstances would drastically alter the landscape of the company’s Feb. 28 presentation. The originally scheduled headlining bout — a middleweight title tilt between champion Chris Weidman and fourth-ranked contender Vitor Belfort — was postponed after Weidman was injured in training. 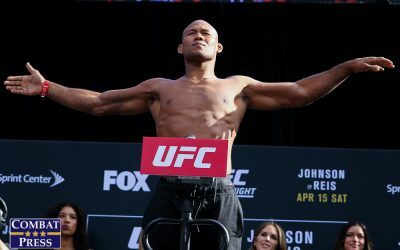 Making matters worse, fellow middleweight contender Ronaldo “Jacare” Souza fell victim to pneumonia, rendering him unable to compete on Saturday against Yoel Romero. Also adding to the UFC’s frustrations was an injury to Glover Teixeira, who was slated to face Rashad Evans this past Saturday at UFC Fight Night 61. Without a suitable main event to replace that fight, the UFC moved the aforementioned heavyweight contest between Frank Mir and Antonio “Bigfoot” Silva into the top spot last weekend, thus thinning out the UFC 184 card even further. At least there will still be one title fight on Saturday, and it features one of the UFC’s biggest stars. Ronda Rousey has destroyed everyone who has dared to meet her in the cage, and on Saturday she faces a consensus top-ranked contender in Cat Zingano. Like Rousey, Zingano has yet to taste defeat as a professional mixed martial artist, and at the very least represents as much of a challenge to Rousey as any of the other fighters in the UFC’s top five. We’ll find out exactly what that means this weekend. Saturday’s co-main event also takes place in the women’s bantamweight division, and it features the highly anticipated debut of Holly Holm, who meets The Ultimate Fighter 18 veteran Raquel Pennington. We’ll also see longtime UFC welterweights Jake Ellenberger and Josh Koscheck try to stop their respective three-fight losing streaks, while on the other end of the spectrum lightweights Tony Ferguson and Gleison Tibau fight to extend their own multi-fight strings of victories. UFC 184 takes place Saturday, Feb. 28, from the Staples Center in Los Angeles. The action begins at 7 p.m. ET with two contests on UFC Fight Pass, followed by the remaining preliminary bouts airing on Fox Sports 1 at 8 p.m. 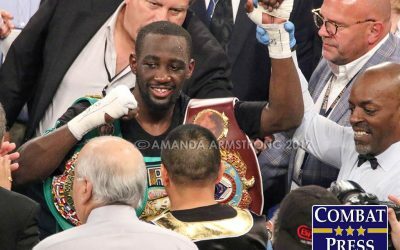 ET and the main card on pay-per-view at 10 p.m. ET. 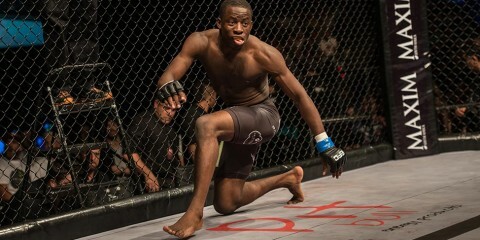 Combat Press staff writers Vince Carey and Eric Reinert break down the fights in this edition of Toe-to-Toe. 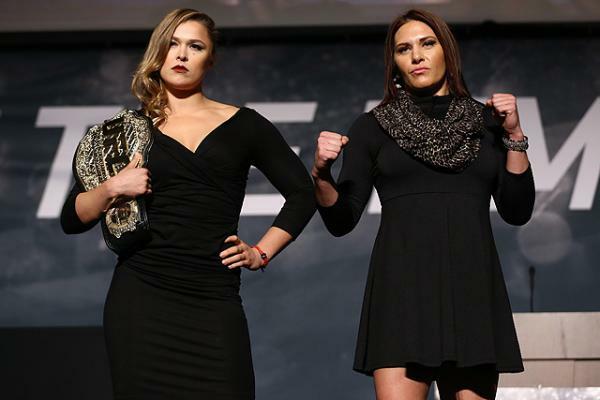 Cat Zingano is finally getting her shot at women’s bantamweight champion Ronda Rousey. Every time the UFC trots out a challenger for Rousey, that challenger is promoted as the biggest challenge yet for Rousey or the only fighter who has a shot at prying the belt from Rousey’s hands. Does Zingano deserve that label, or will she follow in the footsteps of all those other supposedly legit threats Rousey has defeated with ease? Carey: Zingano will probably be legitimately the toughest woman Rousey has fought. She has a lot of talent, too, but I’m not sure she’s the best overall fighter Rousey has competed against during her dominant reign so far. Zingano has earned every bit of this title shot, but she’s mostly done that with grit and determination, not the dominant performances we’re looking for in a fighter that can unseat Rousey. In both her UFC debut against Miesha Tate and her more recent bout against Amanda Nunes, Zingano found a way to escape serious trouble and pull off a victory. The wins were impressive, to say the least, and the amount of heart Zingano showed in both fights proved she’s to be taken very seriously as a top competitor at 135 pounds. However, Zingano took a lot of punishment from both girls before coming back and stealing the victory, and the difference between Rousey and the rest of the division is that when “Rowdy” puts you in trouble, there’s usually no chance to recover. In my mind, Rousey has actually earned all of those scary nicknames Joe Rogan likes to throw around. She is a killer, a monster, a world beater and everything in between at this point, and it’s going to take someone special to knock her off her throne. I don’t think that woman is Zingano — and unless we see something remarkable out of Holly Holm in the co-main event Saturday, I’m not sure the woman to dethrone Rousey is even on the roster at the moment. No one, not even Anderson Silva during his best stretch of fights, has dominated the way Rousey has dominated since she entered the Octagon. I don’t see anyone pushing her to her limits any time soon. Zingano is one of the top two or three women in the world at her weight and would likely be the favorite against any other woman on the roster, but Rousey’s skills are on another planet compared to the rest of the division. I see Rousey ending yet another fight in the opening moments. Reinert: With all due respect to Rousey’s many talented opponents, the only fighter that even possessed a little bit of a threat to take the bantamweight queen’s title was Sara McMann (by virtue of her world-class wrestling), and Rousey took care of her in 66 seconds. As we’ve all seen, and as my colleague mentions above, Zingano has toughed out some thrilling wins, but she hasn’t presented anything from a talent standpoint that indicates she’ll give Rousey much trouble. Let’s put it this way: If Zingano does win, even despite her No. 1 ranking on the UFC women’s bantamweight list, it will be among the biggest upsets in MMA history. It seems like Rousey has been on top of the women’s MMA world forever, but she’s only just turned 28 years old and is without a doubt right in the middle of her athletic prime. There is no one — no one — in the sport right now that can pose a significant threat to her title (no, not even Cristiane “Cyborg” Justino) and, recognizing Zingano’s significant accomplishments in the cage, Saturday’s fight will be little more than another reminder of who stands firmly atop the women’s bantamweight division. Holly Holm enjoyed a lengthy career as one of the best female boxers on the planet. 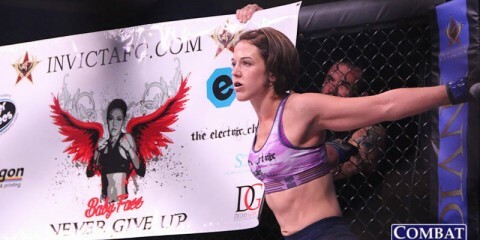 She transitioned to MMA over the last few years and continued to find success, but now she’s in the big leagues. Will she open eyes in her promotional debut against Raquel Pennington? Will it be the first of many wins en route to building an MMA legacy on par with her boxing legacy? Reinert: Despite its artificially inflated position as the UFC 184 co-main event, I actually like this fight quite a bit, and I think Pennington is the perfect opponent to welcome Holm to the cage. To be honest, this one is actually a little tough to predict. Yes, Holm has a very impressive boxing record and she’s looked pretty good against the seven women she’s defeated en route to her UFC debut. 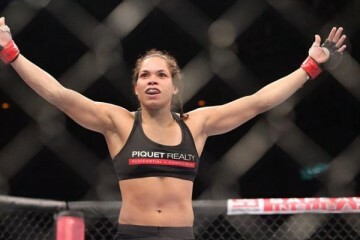 It’s entirely possible she’ll defeat Pennington on Saturday and make a quick run to a title shot bolstered by a lack of other bantamweight contenders. Two factors that give me pause, though, are her age (33) and the fact that she spent more than a decade being battered around the boxing ring before ever stepping foot in a cage. I’m also curious to see how she’ll fare against someone who will do more than just try to stand and trade with her. Pennington will no doubt have done her homework before Saturday’s fight and will almost certainly try to nullify Holm’s obvious striking advantage by pinning her against the cage or putting her on the mat. She’d be smart to follow the same strategy Benson Henderson employed against Brandon Thatch, considering Holm’s background, and could even get herself a second straight submission win. As I said, this one is not easy to predict. Pennington is no title contender, but her previous UFC experience will make a world of difference. It’s also worth noting that Pennington has never been knocked out, though she’d be a fool to try to test her chin against someone like Holm. If Pennington can implement a game plan that minimizes Holm’s ability to damage her with strikes, she’ll earn a decision. If she can’t close the distance, though, look for Holm to begin her UFC career with a highlight-reel finish. Carey: I don’t have quite as much faith in Pennington’s ability to keep this one competitive. I understand all of the reasons to be skeptical of Holm heading into her debut. She’s 33, she’s fought mostly low-level competition on the regional scene, she could experience the dreaded Octagon jitters and all that good stuff. But I’ve also watched Holm straight up destroy all seven of the women she’s fought so far in her MMA career, and between that and a championship resume in boxing, Holm is walking into the UFC as one of the top 10 fighters in her division. 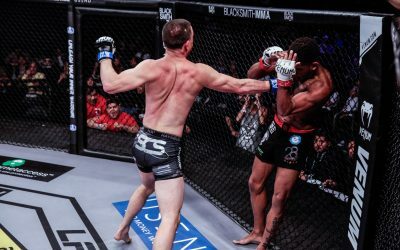 Of course, Pennington is only 26 years old and is coming off a pretty spectacular come-from-behind submission victory just two months ago. “Rocky” overperformed on her season of The Ultimate Fighter and she’s been better than expected in every fight since, including her close split decision loss to Jessica Andrade last year. To completely write her off against Holm would be a huge mistake, and if she can do as Eric mentioned and keep some pressure on “The Preacher’s Daughter,” then a submission win probably isn’t out of the question. 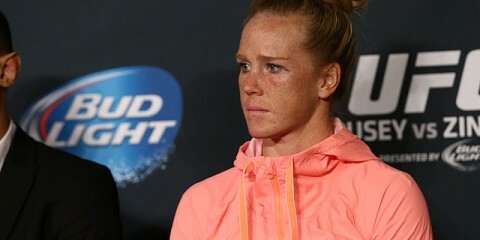 But Holm’s striking will be far above and beyond anything Pennington has ever seen in the cage before, and that skill set tends to force people into fighting far more tentatively than they intend. I’m picking Holm by an early stoppage win. If it’s a strong finish, she might even be able to jump straight into a top contender’s bout in her next outing. The UFC knows that Holm is one of maybe just two women — Cristiane “Cyborg” Justino being the other — that fight fans would take somewhat seriously as a threat to Rousey, and I don’t know that the promotion will want to risk Holm taking more than one additional fight before the showdown with Rousey is set up. Holm is for real, and this fight should just be the first step on her journey to a title shot. Tony Ferguson has quietly built a solid UFC record of 7-1 but remains unranked among his fellow lightweights. On Saturday, he’ll try to notch his fifth straight victory in his fight with Gleison Tibau. Can Ferguson fight his way into the group of elite fighters at 155 pounds, or will Tibau, who returns just six weeks after his last Octagon victory, take his place as a lightweight on the cusp of contention? 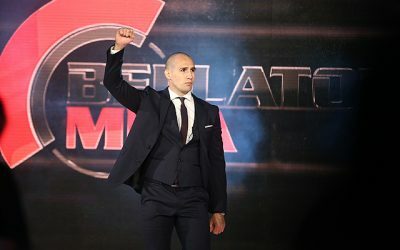 Carey: Ferguson has finished five of his seven UFC wins and has proven to be exciting on multiple occasions, so a win here could provide the former TUF winner with the right opponent to try to make some waves against in his next outing. Between his boxing, which has always been a strong point, and his improving ground skills, it really feels like “El Cucuy” has hit his stride lately, and a fifth straight win could open a lot of eyes. However, after Ferguson ran into some trouble with Danny Castillo’s constant pressure and wrestling attack last summer, it’s incredibly tempting to pick the bigger, stronger fighter in Tibau. While Tibau is not the most entertaining fighter, or even the most skilled, he understands his strengths and weaknesses better than 90 percent of the guys out there and normally fights really intelligently as a result. In fact, the only guys that seem to give Tibau trouble are the fighters that are as well rounded as he is or those who possess a single out-of-this-world skill, such as Khabib Nurmagomedov with his wrestling. Reinert: I had a really tough time picking this one as well, and for all of the same reasons my colleague mentions. Aside from his stout, impossible-to-take-down frame, Tibau’s biggest asset heading into Saturday’s fight is his UFC tenure that spans nine-plus years. Tibau has been around and he’s seen it all, so Ferguson is definitely not going to surprise the Brazilian with anything on Saturday. That all makes it seem like Tibau might be the easy choice, but not so fast. Ferguson has only lost three times in a 20-fight pro career that dates back to 2008, and only one of those losses was by stoppage. Tibau does own a lot of submission victories, but he’ll have to really get Ferguson in trouble before he’ll be able to implement that sort of offense. In the end, I’m going with Ferguson for a few reasons. First, he’s the same age as Tibau (31) but has half as many fights. Tibau has put his body through a world of punishment since he began fighting professionally in 1999, and 16 years of training and battle is going to add up. Ferguson should be the fresher fighter overall on Saturday, and he’ll also have a significant reach advantage which should help keep Tibau at bay. If Tibau can avoid Ferguson’s boxing and move the fight to the ground, he’ll have a good chance, but I predict Ferguson picks Tibau apart with jabs en route to a decision win. There are a lot of former stars and title contenders on this card that have seen their stock fall pretty rapidly in the past few years. Jake Ellenberger and Josh Koscheck have gone from legit welterweight title contenders to possibly fighting for their jobs this weekend, Mark Munoz has gone just 1-3 since 2011 and Norifumi “Kid” Yamamoto’s UFC career has been a disaster since it started. Yet, all four of these guys have a good chance at turning things around here. Which fighter can make the biggest splash this weekend and prove he isn’t quite finished? Reinert: Of these four fighters, the only one who isn’t 37 years old is Ellenberger, so the choice is pretty easy. Ellenberger has, indeed, fallen on hard times lately, dropping his last three in a row. It’s important to remember, though, that these three losses were to Robbie Lawler (the UFC’s current welterweight champion), Rory MacDonald (ranked No. 2) and Kelvin Gastelum (No. 10), so it’s not like Ellenberger has been falling short against guys far below his pedigree. Koscheck has also lost his last three to elite UFC welterweights (Lawler, former champion Johny Hendricks and third-ranked Tyron Woodley), but also hasn’t fought since November 2013. If Koscheck was just a few years younger, he might have a chance for one more little push, but he’s getting to an age where most professional baseball players consider another line of work, let alone professional fighters. While Ellenberger will have a very difficult time making his way back into the title conversation at 170 pounds, he shouldn’t have too much trouble getting his UFC career back on track this weekend. I expect to see glimpses of the “Juggernaut” of old, and an early TKO victory for Ellenberger that should bring an end to Koscheck’s career. Carey: Ellenberger is definitely the right answer. I also see him getting back to form with a big knockout over Koscheck, but I can actually see Munoz coming back from his rough patch and doing some work on Saturday as well. 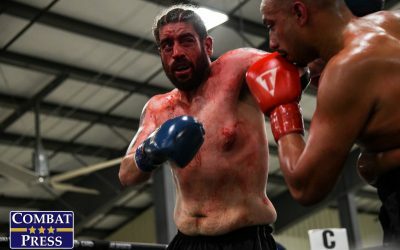 Munoz’s opponent, Roan Carneiro, has actually been competing extremely well and hasn’t lost a fight since 2011, but Munoz has had to fight some really tough guys lately, accounting for his recent stumbles. His first step down in competition in a while is going to remind people why he was once considered a threat to fight for the middleweight strap. Munoz has lost three of his last four, but all three of those fights came against top guys in the division, including one fight against current champion Chris Weidman. The lone fight that Munoz didn’t have against a top-five guy was a match-up against Tim Boetsch, a fighter who’s been on the fringe of the top 10 multiple times over the past few years, and Munoz crushed him. This is pretty obviously meant to be a fight that allows Munoz a chance to get back on track, and I fully expect him to do so with a stoppage win. After that, there’s a card in Manilla in a few months that I’m pretty sure “The Filipino Wrecking Machine” is dying to be a part of, and an impressive win on Saturday could be enough to earn him some co-main event honors in April. Carey: I’m actually weirdly excited for a Fight Pass bout between James Krause and Valmir Lazaro this weekend. Krause has proven he’s a solid fighter despite his .500 UFC record, having only lost to ranked guys in the ridiculously stacked lightweight division, and he’s one of the more exciting young additions to the division in the past couple of years. 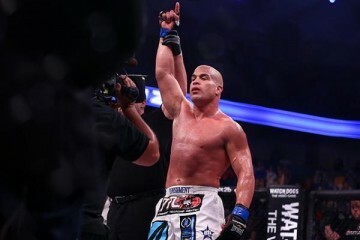 He may be in for a war on Saturday, though, because while Lazaro may not have the resume or name value of Krause’s past UFC opponents, he has some serious power and a resume full of knockout victories to back it up. Krause is better than his placement on this card suggests, and he’ll prove as much against Lazaro by getting a stoppage win. This fight should be a lot of fun up until that point. Reinert: Man, this card is so thin that I have to circle back to Tony Ferguson and Gleison Tibau to answer this one. 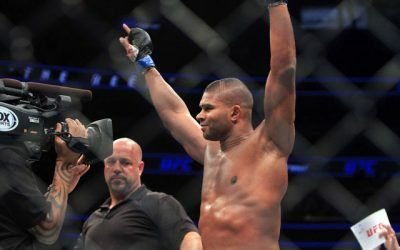 With UFC 184’s second and third main-card fights featuring guys who went a combined 0-4 in their previous outings, one might think the pay-per-view opener would be of a similar low-stakes nature. 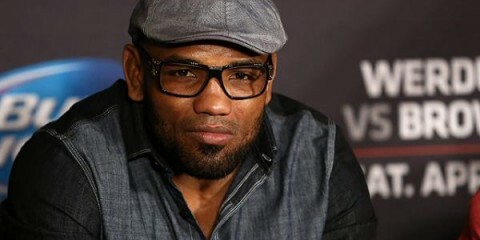 Instead, we’ve got Ferguson looking to extend a four-fight winning streak and maybe get a little piece of the lightweight spotlight while Tibau, a guy who first entered the Octagon in 2006, will try to play the role of spoiler while simultaneously adding to his own run of three straight wins and maybe, just maybe, getting another shot at one of the division’s contenders. Reinert: Your preferred Twitter-reading device. It seems like just yesterday I was looking at the abysmal UFC 177 card and wondering how many more times MMA fans would be asked to pay $60 for a card worth a fraction of that. Well, here we are again. UFC 184’s lone saving grace is the presence of Rousey, and because the result of her fight is basically a foregone conclusion, there is no real suspense surrounding the card’s primary selling point. Beyond the main event, the card is one of the weakest in UFC pay-per-view history. I’m not buying it, and you shouldn’t either. 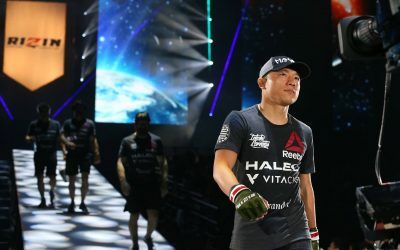 Carey: I’ll be upfront with you guys: I haven’t passed on buying a UFC pay-per-view since UFC 112 fours years ago, and that was because I had a wedding to go to that afternoon and it was a mid-day card in Abu Dhabi. Since I’ve suffered through some pretty rough events in the past and never truly regretted it, I’m not going to start this weekend. That being said, I’m going to pair this card with a healthy dose of optimism because there isn’t a lot to love here. I’m intrigued by the debut of Holm and the Nebraska native in me has made me a sucker for an Ellenberger fight, but the only reason to truly get excited about this card is Rousey. One way or another, we’re going to see history, either by watching the greatest female fighter of our time score yet another victory or by getting to see an upset that’s basically the women’s MMA equivalent of Tyson-Douglas. That’s enough to make me part with my $60.